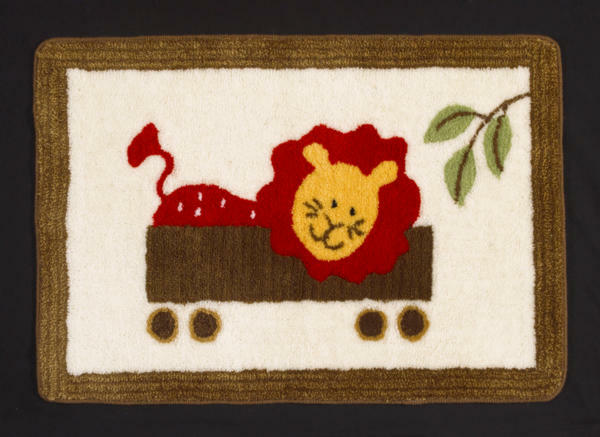 The Cotton Tale Animal Tracks Rug is a great accent for any Animal Tracks themed nursery. The coordinating Animal Track Rug measures 40"x26". Machine washable, gentle cycle, cold water. 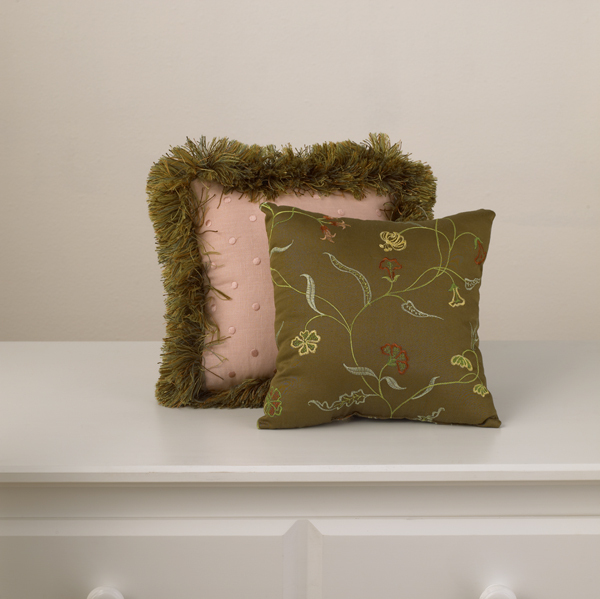 The Cotton Tale Cobblestone Pillow Pack adds a nice finishing touch to your nursery decor. The Cobblestone Pillow Pack should never remain in the crib while baby is present. 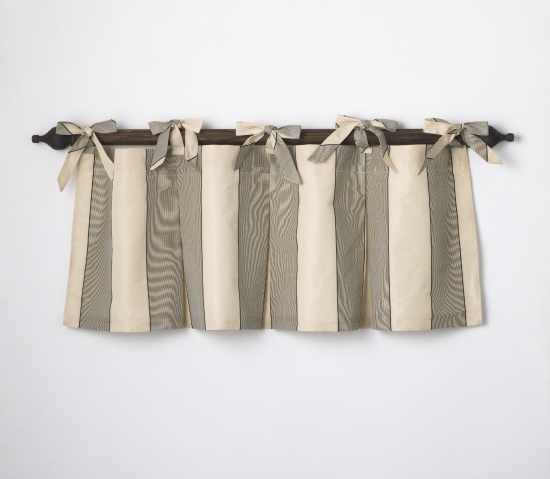 The Cotton Tale Cobblestone Valance adds a great finishing touch to your nursery decor. The Cobblestone Valance is necessary accessory to go with your 4 piece set. The Cotton Tale Dahlia by N Selby Valance adds a perfect finishing touch to your nursery decor. 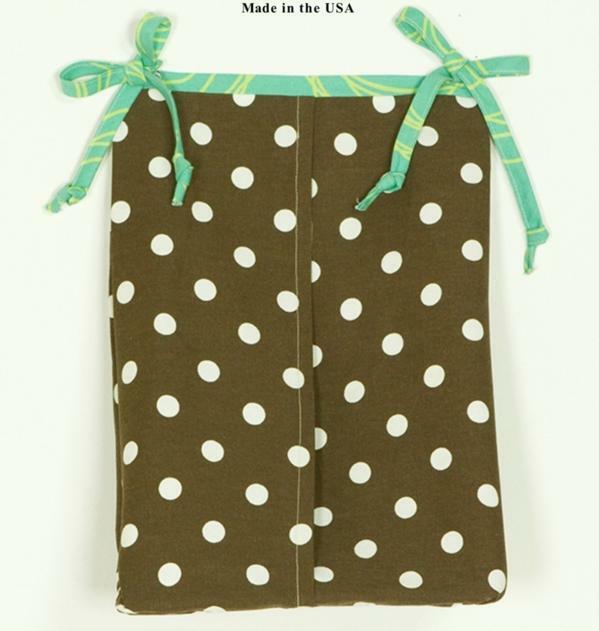 The Cotton Tale Dahlia Diaper Stacker with soft ties and cord holds up to 4 dozen diapers. 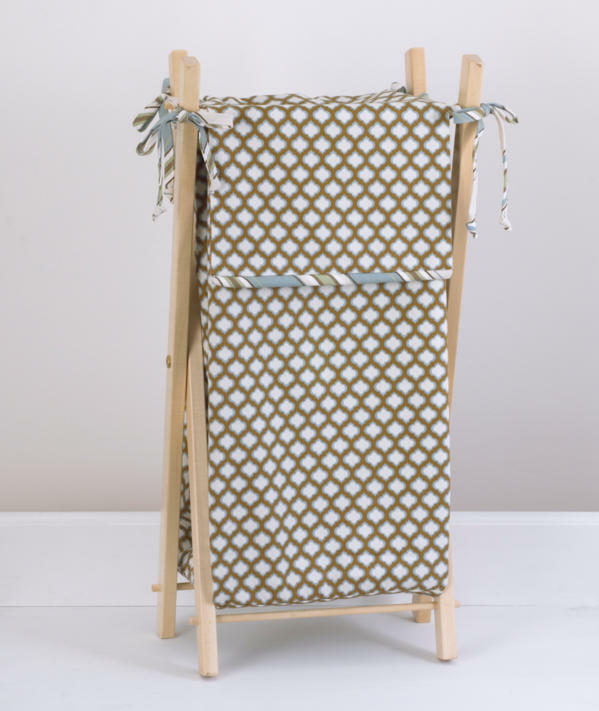 The Dahlia Diaper Stacker can be easily attached to the changing table or chest, never on the crib. The Cotton Tale Dahlia Toy Bag can be used as wall decor or can be attached to changer to hold baby supplies. The Cotton Tale Designs Houndstooth Toy Bag is very practical in the nursery. 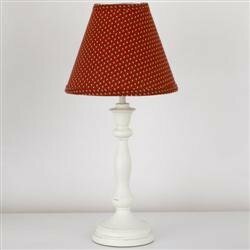 It is bright & cheery and can be used on the wall for decoration. The Houndstooth Toy Bag is perfect for holding toys as well as holding supplies on the baby changing station. 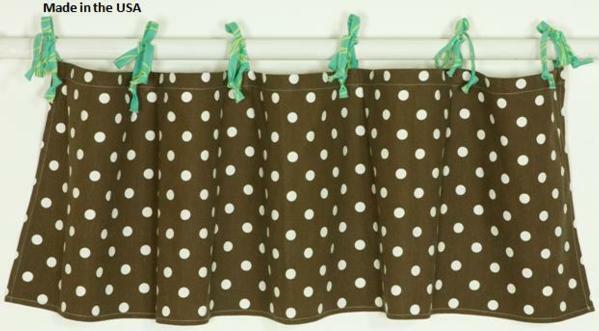 The Cotton Tale Designs Nina Selby Play Date Straight Valance has blue dot with leopard ties. 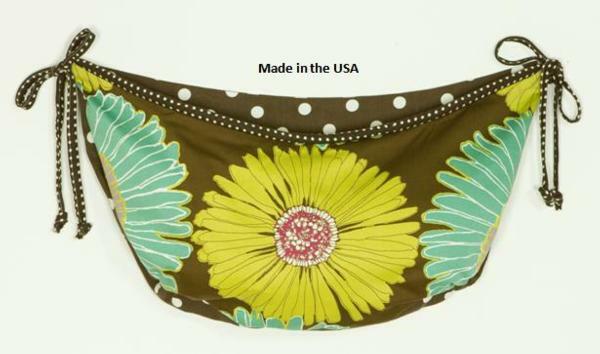 The valance measures 54" x 15 1/2". The N Selby Play Date Collection is proudly made in the USA. The Cotton Tale Designs Pirates Cove Diaper Stacker is black and white dot appliquéd with a pirate and palm tree. 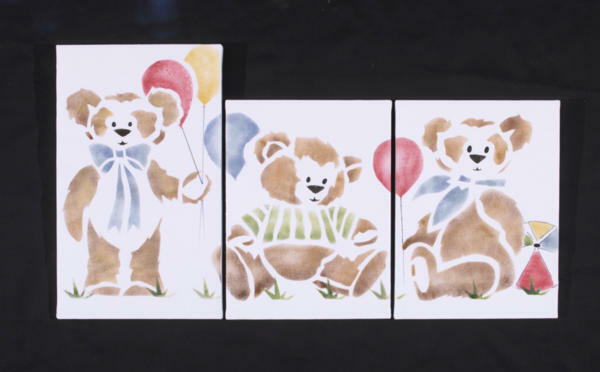 Trimmed in brown check it is ready to tie onto your little pirate's crib or changing table. 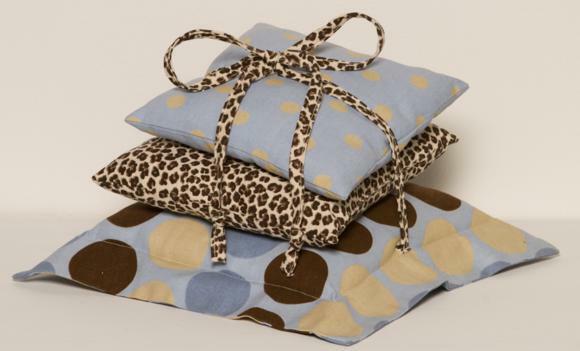 The Cotton Tale Designs Play Date Pillow Pack comes complete with a large pillow in giant dots with leopard skin ties, a leopard skin pillow, and a blue with beige dots. 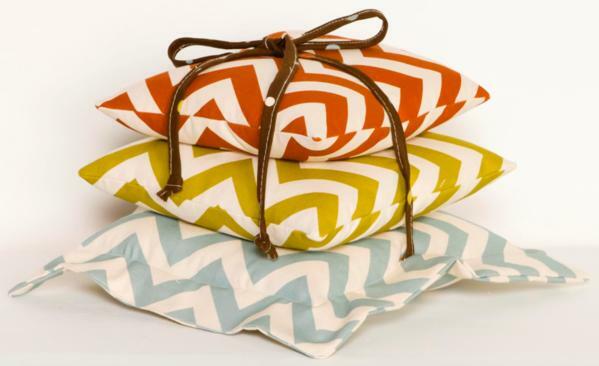 The pillows can be used tied together or separately. The N Selby Play Date Collection is made in 100% cotton and proudly made in the USA. 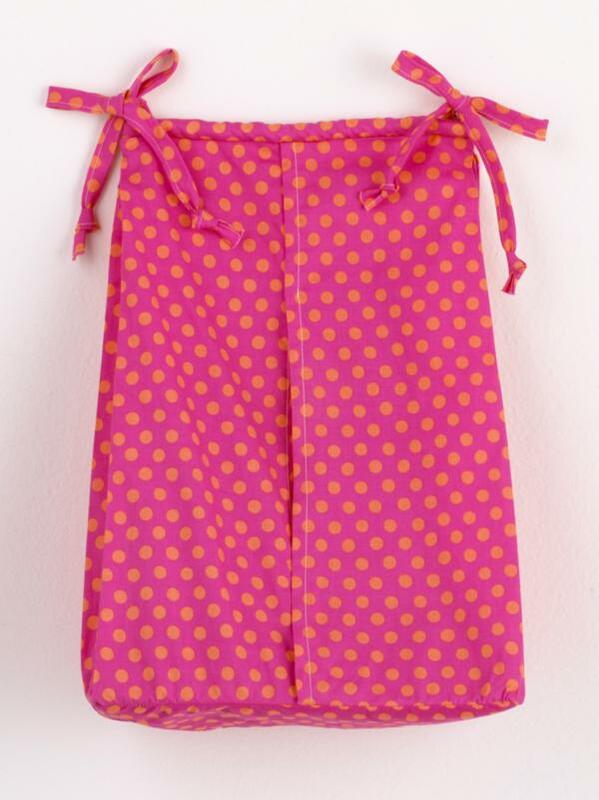 This Cotton Tale Designs Sundance Diaper Stacker is made of 100% cotton Sundance in hot pink holds up to 4 dozen diapers. Fun and functional. Never tie on the crib. Wash gentle cycle, cold water, separately. Tumble dry low or hang dry. Sundance diaper stacker for girls. The Cotton Tale Designs Tanzania Red Straight Valence is a great addition to any Nina Selby Tanzania Red Bedding Purchase. The Cotton Tale Designs Whooo's There? Diaper Stacker is 100% Made in the USA of 100% cotton. 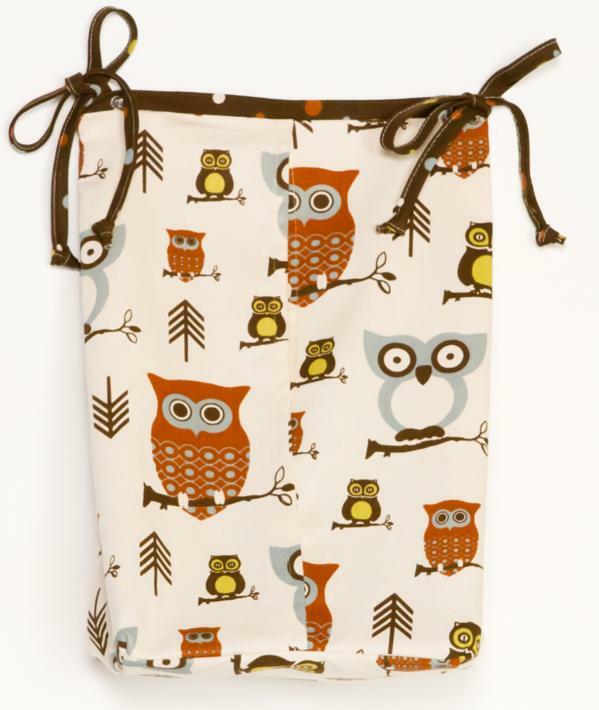 The Whooo's There Diaper Stacker features owls on natural back ground and holds up to 6 dozen newborn diapers. The Cotton Tale Designs Whooo's There? 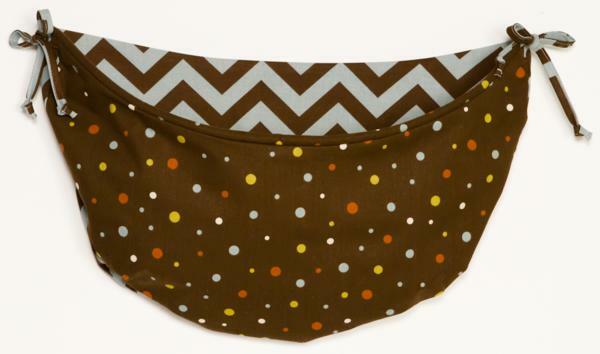 Mobile has a zig zag canopy in blue and chocolate brown with multi dot cord. 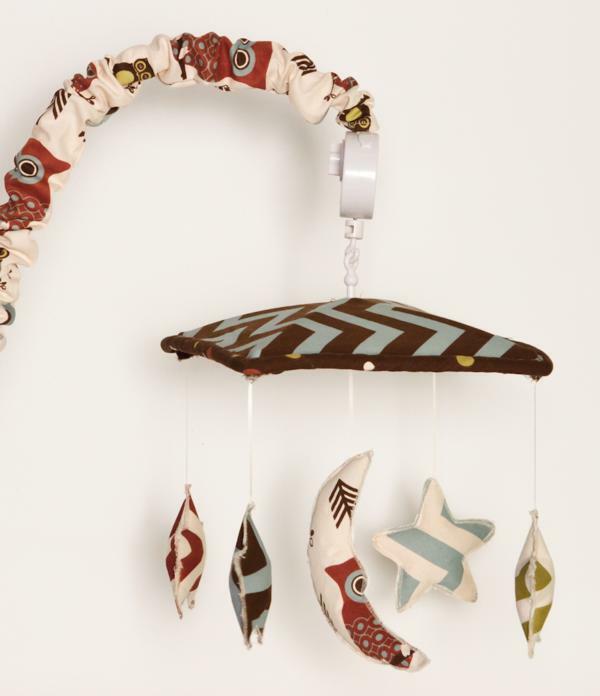 The Whooo's There Mobile has stars and moon circle the musical canopy with owl arm cover. The wind up mobile plays Brahms Lullaby. 100% Made in the USA. The Cotton Tale Designs Whooo's There? 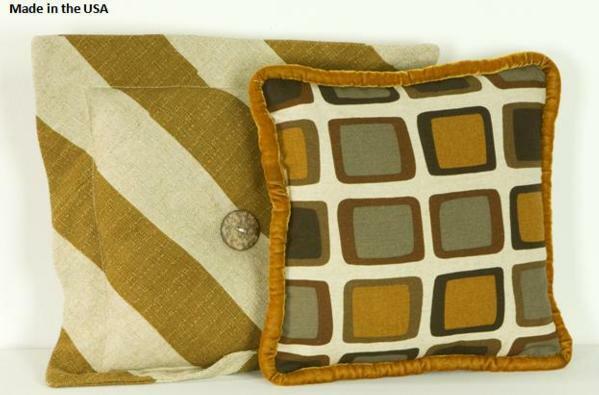 Pillow Pack is a 3 pack of pillows, each in zig zag fabrics, tied together with multi dot fabric. The Whooo's There Pillows can be used together or separately, but never in the crib, for decorative use only. 100 % Made in the USA. The Cotton Tale Designs Whooo's There? 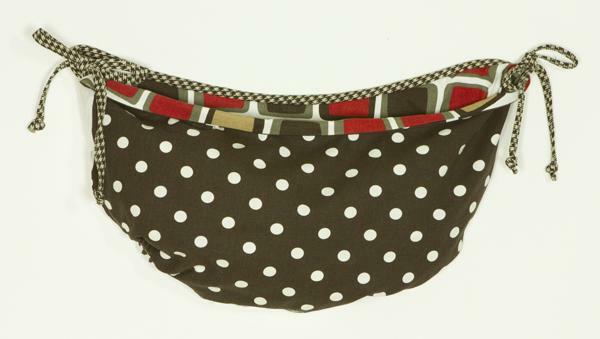 Toy Bag is made of a multi dot fabric on chocolate brown. 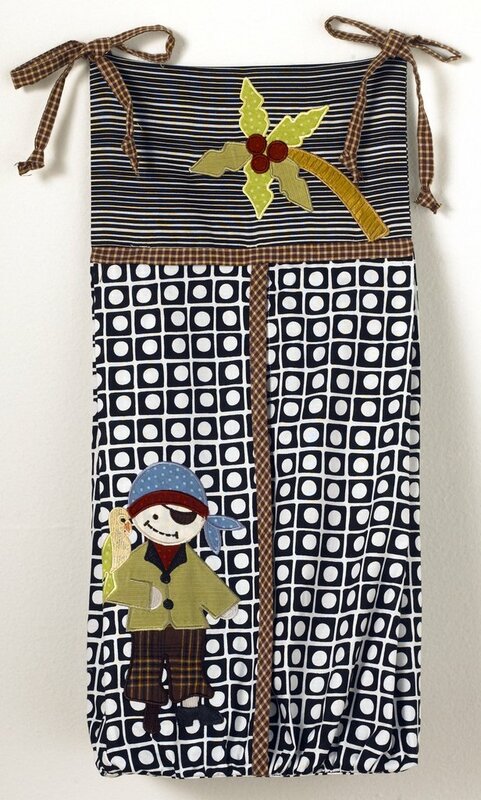 The toy bag is lined in blue and chocolate brown zig zag with ties and cord in multi dot. The Whooo's There Toy Bag can be used as wall decor or can be tied on changer to store supplies/toys. The Cotton Tale Designs Whooo's There? 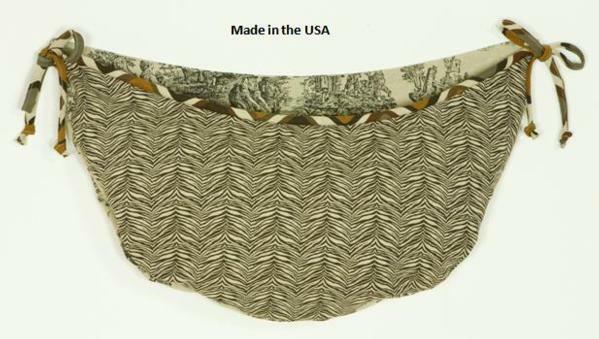 Valance is made of 100% cotton and 100% Made in the USA. 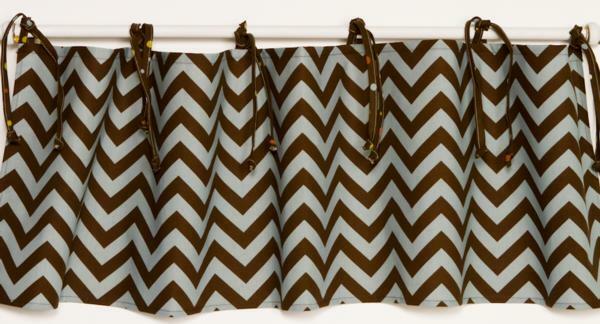 The Whooo's There Valance valance is made of a zig zag fabric of chocolate brown and blue. Measures 55" x 16"